We hope that you will take 60 seconds out of your day today to help the planet ─ and encourage your community to do the same! 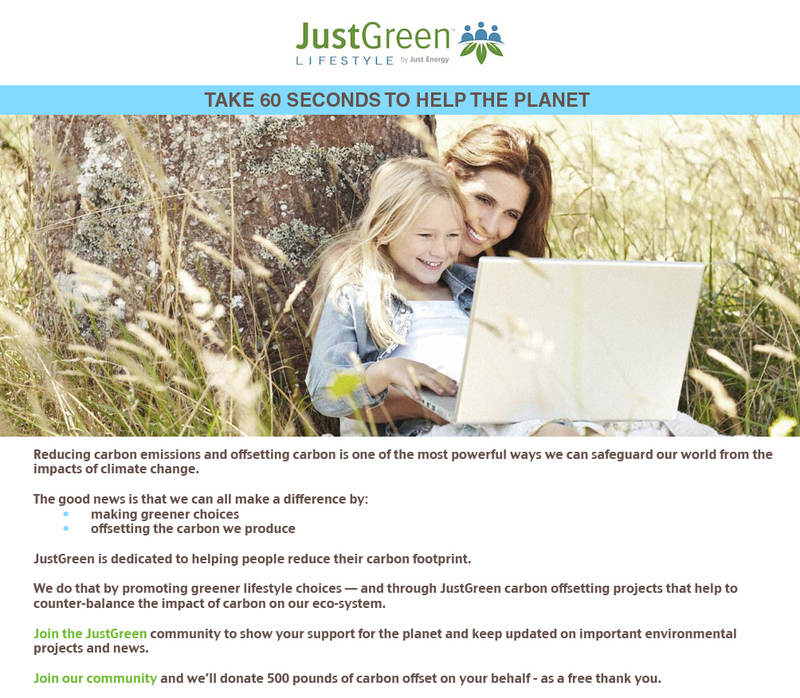 For a limited time, when you sign-up for its free, monthly newsletter, JustGreen™ Lifestyle will donate 500 pounds of carbon offset to a green project on your behalf ─ absolutely free! Please see below for details, and CLICK HERE for more info.